D.F. 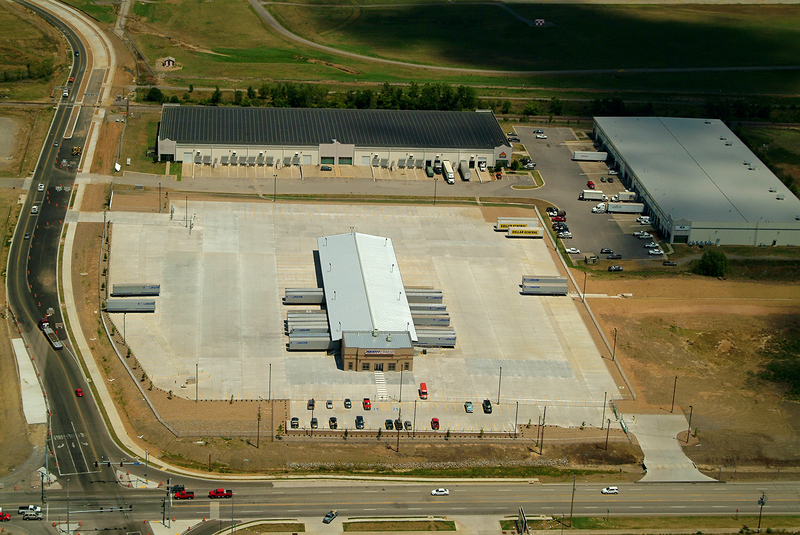 Chase, Inc. was selected for the Averitt Express Fort Smith, Arkansas location. It is a 3,300 square foot office with a 30-door dock and 10,000 square foot attached warehouse. This project was completed and turned over to the owner for operation in 6 months. Site work operations were stringent with the site being a former foundry. We removed approximately 10,000 cubic yards of unsuitable material and imported new select fill for a sound building and parking lot base, topped with heavy duty concrete paving. The building structure was a pre-engineered metal building set on an elevated slab with a brick veneer on the office.